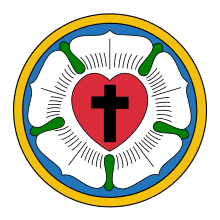 Christian Gottlob Keyser (also spelled Keysser, Kaiser) was a Lutheran missionary of the Neuendettelsau Mission Society. He served for almost 22 years at the Neuendettelsau Mission Station in the Finschhafen District of New Guinea, which had been founded in 1892 by Johann Flierl. He controversially proposed the evangelization of tribes, rather than individuals, the concept known as Volkskirche (Congregation Church). An avid linguist, he compiled one of the first dictionaries of a Guinean dialects: Dictionary of the Kâte Language, a Papuan community (Wörterbuch der Kâte-Sprache; Eine Papuagemeinde). He also maintained a regular correspondence with the German Geographical Society in Berlin, reporting on his naturalist findings in New Guinea. He published his memoirs (1929), as well as over 300 essays and pamphlets and ten books. An intrepid explorer, he ascended the Saruwaged Range massif in 1913. In 1899, the Neuendettelsau Missionary Society sent Christian Keyser to the Sattelberg Mission Station in New Guinea. There, he worked under the tutelage of the station's founder, Johann Flierl, for several years; he also married the governess of Flierl's four children, Emilie Heumann (b. 14 February 1873 in Strasbourg), in 1903. Keyser proved a gifted and diligent linguist, and he also developed a critical understanding of the Kâte people that Flierl did not have: in this corporatist society, it would not be possible to bring people to Christ one at a time, through individual acceptance of God. Instead, he sought tribal conversions. The sort of mass conversions Keyser had in mind were not what Flierl envisioned for the mission, but he recognized that Keyser's new energy was indeed what Sattelberg needed at the time. Keyser drew on community norms of the Kâte to develop an idea of the Volkskirche, a church of people. In 1903, he performed the first group baptism; although it was only ten people, it was a start, and laid the groundwork for the mass conversions of 1905 and 1906 (the latter being helped somewhat by a rough earthquake in September 1906). Keyser returned to Germany in 1921, leaving Adelaide in 1920 on the ship Nestor with his wife and three daughters, and arriving in Germany via London in the spring of 1921. From 1922–1939, he taught missions and was missionary inspector at the Neuendettelsau Missionary College. He taught missions at the Neuendettelsau Seminary, and the University of Erlangen granted him a PhD in 1929 and he taught theology there until 1939. More than 30 of his students went to Papua New Guinea, and more went to other mission sites. Keyser wrote 10 long works and over 300 small books and essays. His dictionary of the Kâte language includes more than 10,000 words and phrases. During his years at the Sattelberg, he undertook frequent scientific journeys, and was a regular correspondent of the German Geographical Society of Berlin. He discovered hundreds of plants, insects and animals—discovered to Europeans, that is, and several are reported named for him. He was among the first Europeans to ascend the Saruwaged Range, which he did in 1913. (German) Gottes Weg ins Hubeland, Neuendettelsau,Freimund-Verl., 1949, 2. Aufl. (German) Weite Fahrt: Stories fuer Kinder (with Jutta Zimmermann). Teilw. hrsg. von Jutta Zimmermann. - Lizenz d. Buchhandl. d. Berliner Evang. Missionsges. (German) Das bin bloss ich. Lebenserinnerungen. (reprint) Neuendettelsau, Freimund-Verlag, 1966. ↑ Erwin L. Lueker, Luther Poellot, Paul Jackson, Christian Cyclopedia, Concordia Publishing House, 2002. "Archived copy". Archived from the original on 2009-09-01. Retrieved 2009-08-31. .
↑ (German) Christian Keyser, Das bin bloss ich. Lebenserinnerungen. (It is merely me: Memoirs.) Neuendettelsau, Freimund-Verlag, (1929) 1966. ↑ UK Incoming Passenger Lists, 1878-1960 [database on-line]. Provo, UT, USA: The Generations Network, Inc., 2008. Original data: Board of Trade: Commercial and Statistical Department and successors: Inwards Passenger Lists. Kew, Surrey, England: The National Archives of the UK (TNA). ↑ Donald McGavran, A People Reborn: Foundation Insights on People Movements. ; Herwig Wagner (1992). "Keysser, Christian". In Bautz, Friedrich Wilhelm. Biographisch-Bibliographisches Kirchenlexikon (BBKL) (in German). 3. Herzberg: Bautz. cols. 1447–1453. ISBN 3-88309-035-2. Lüker, Erwin L. Luther Poellot, Paul Jackson, "Christian Keysser", Christian Cyclopedia, Concordia Publishing House, 2002. .
McGavran, Donald, A People Reborn: Foundation Insights on People Movements. Strategic Network. UK Incoming Passenger Lists, 1878-1960 [database on-line]. Provo, UT, USA: The Generations Network, Inc., 2008. Original data: Board of Trade: Commercial and Statistical Department and successors: Inwards Passenger Lists. Kew, Surrey, England: The National Archives of the UK (TNA). Herwig Wagner (1992). "Keysser, Christian". In Bautz, Friedrich Wilhelm. Biographisch-Bibliographisches Kirchenlexikon (BBKL) (in German). 3. Herzberg: Bautz. cols. 1447–1453. ISBN 3-88309-035-2. (German) Festschrift zum 70. Geburtstag des Herrn Missionsinspektors a.D. Dr.h.c. Christian Keysser in Neuendettelsau am 7. März 1947, [Nürnberg], Bayer. Missionskonferenz 1950.